Total value = $17.4 billion USD in 11,603 transactions. The average transactional value works out as $1.5 million USD. 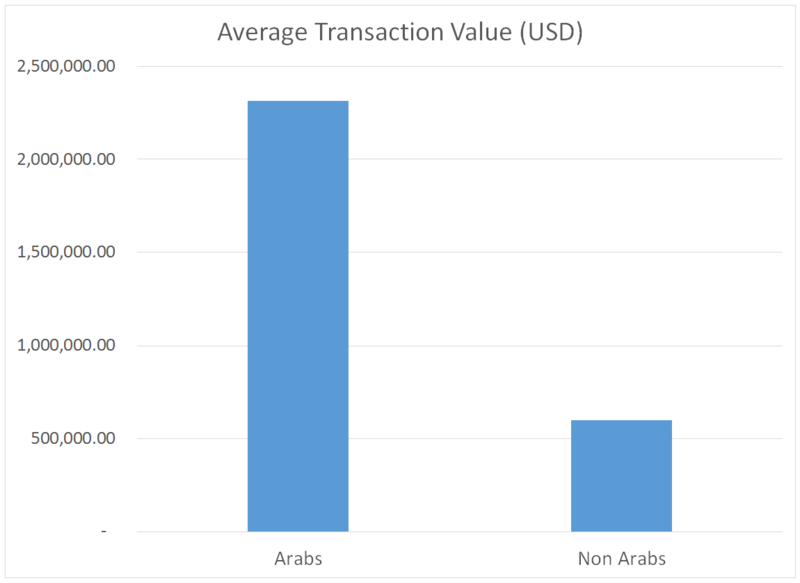 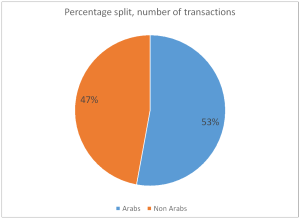 If we split that into Arabs vs Non Arabs, the split by number of transactions is pretty even, with Arabs accounting for 53% and Non Arabs accounting for 47%. 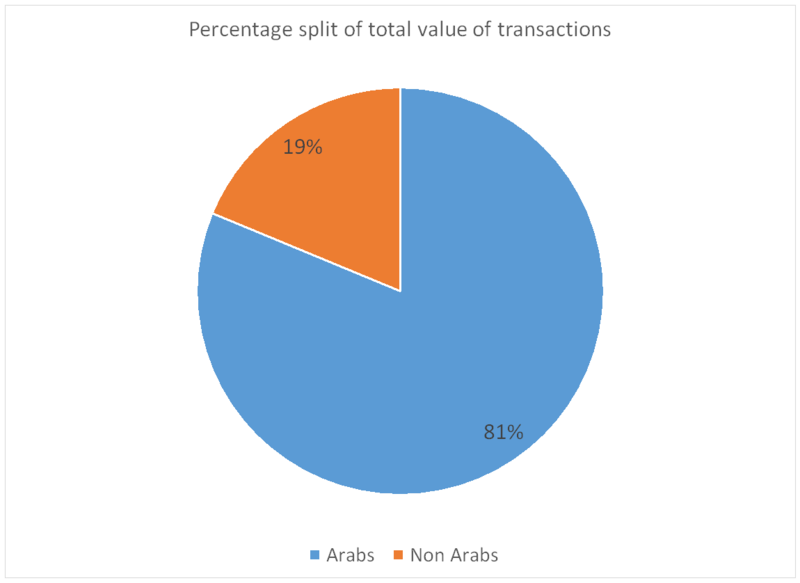 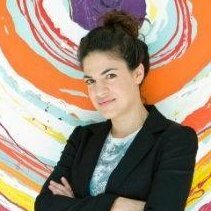 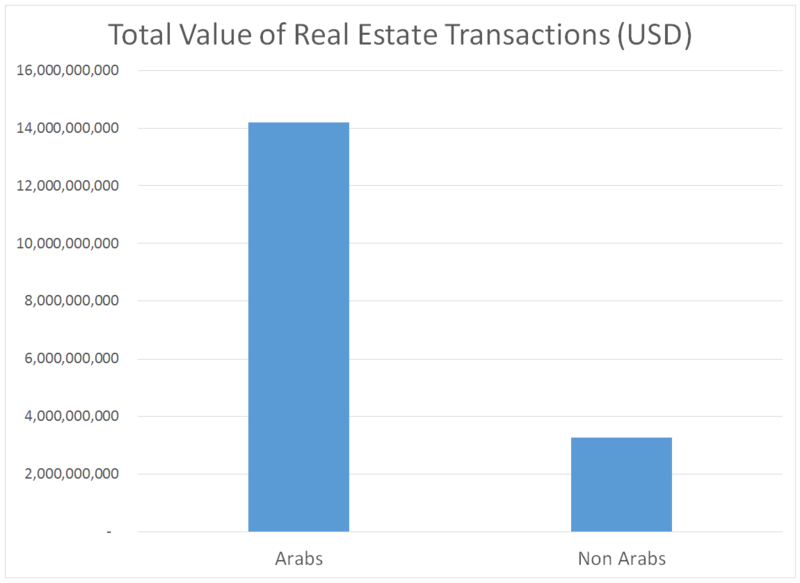 The average transactional value split between Arabs and Non Arabs however reveals that Arabs spend almost 4 times as much as a Non Arab per real estate transaction, ($2.3 million USD vs $600,000 USD respectively). 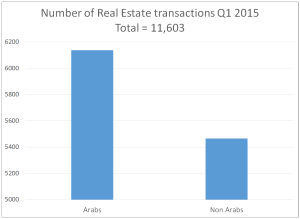 Arabs account for 81% of the total value of Real Estate transactions, with Non Arabs accounting for just 19%.